Growing demand for avocados in Asia and changing market conditions across the Tasman are reinforcing the value of Avoco’s Avanza brand. In order to benefit from the opportunities in Asia, Avoco is now encouraging its 700 growers to pay strict attention to their spray programmes and overall orchard management to ensure their fruit is given the green light to supply its growing number of Asian markets. China and Taiwan were added to Avoco’s total avocado export mix last year, bringing the number of markets it supplies outside of Australia to eight. Fruit is marketed under the Avanza brand and its well-established presence in Asia – combined with Avoco’s market management expertise this has enabled the brand to build a solid reputation for supply chain excellence while strengthening the company’s relationships with key retailers and distributors across the region. This said, quality issues at certain times of the season did present a challenge for Avanza’s customers to manage. With avocado consumption on the rise in Asia and the industry signalling next season’s New Zealand crop could be well up on this year’s, marketing and communications manager Steve Trickett says Avoco believes it’s more important than ever for growers to ensure they are “all-market compliant”. Growers who achieve this have the best chance of getting fruit picked earlier for Asia and benefiting from smart marketing decisions that increase returns to the grower pool, says Steve. “Pest monitoring and carefully considered spray programmes will be vital during the next few months to ensure growers meet the various phytosanitary requirements needed to access all our export markets, but especially those in Asia. “Growing fruit to the highest standard allows our team of market managers to confidently allocate fruit to a range of developing Asian markets. 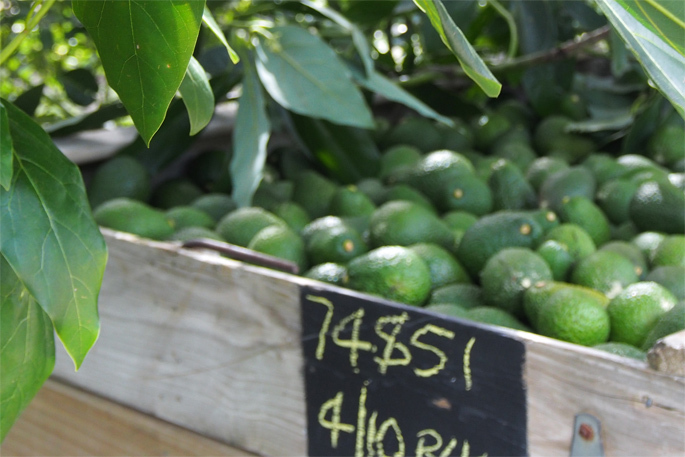 Australia is NZ’s largest export market for avocados, but Australia’s growing domestic production as well as speculation that Chilean fruit could gain market access to Australia within two years, is illustrating to NZ growers the importance of having other market options. Should Australia’s changing market outlook weaken values of NZ fruit, especially mid-season, all-market compliant growers would have the advantage of being able to harvest early and supply a host of Asian markets, including China, Japan and Korea. In its first year of supply to China Avoco exported 23,000 trays from around 30 growers, shipping one sea freight container per week to Shanghai. This represented 86 per cent of the industry’s exports to China. The total volume was down on plan due to a delayed start to the programme with Chinese Customs taking longer than anticipated to officially list NZ avocados as an approved import. Next season, Avoco’s plan is to lift volumes to three containers per week across a 14-week period, with volume coming from more than 400 growers registered to supply China. “We’re pleased to have tested our chosen distribution network in China in 2018. Looking ahead to next year, while competitor pricing and volume from South America will be a consideration, we anticipate being able to deliver a much larger sales programme in China and throughout Asia. Due to a smaller-than-anticipated national crop in 2018-2019, Avoco expects to export about 1.9 million export trays when the season ends this month. About 80 per cent of fruit has been shipped to Australia with the rest distributed under the Avanza brand to Asia.